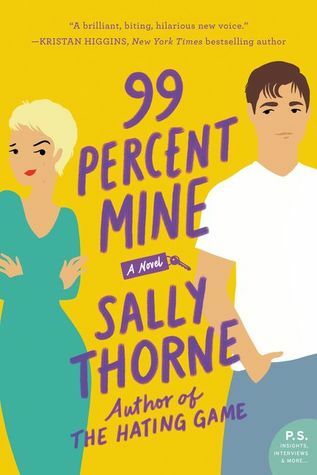 The Hating Game by Sally Thorne is one of my favorite books of all time, so naturally I was super excited to read her new novel, 99 Percent Mine, as soon as it came out. Unfortunately, it didn’t live up to my expectations, which admittedly were sky-high. It took me a long time to get invested in the story (I think I was already halfway in, so loong) and I just didn’t care for any of the characters. The last half was okay, but still… not my favorite. 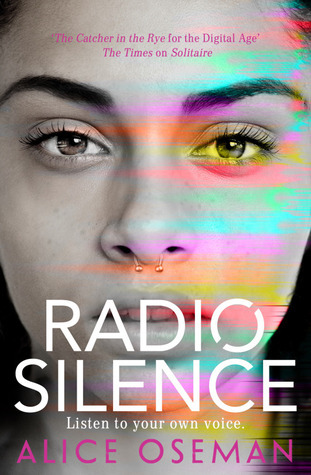 I FINALLY READ RADIO SILENCE Y’ALL!! Well, technically I listened to it, but same thing. And this definitely was a case of expectations being met. I just fell so in love with all of these characters and I want to hug Aled so much. Loved the focus on friendship and education and loved the diversity. Highly recommend. After having fallen in love with The Seven Husbands of Evelyn Hugo last month, I knew I HAD to try Daisy Jones as soon as it was released. Cue the audiobook AND cue the high expectations because the hype was real. Though I didn’t love it as much as Evelyn Hugo and it took me a while to get into it, I did end up highly enjoying the story. It felt like a real music documentary and I kind of wish Daisy Jones & the Six were a real band ’cause I want to listen to their music so badly. Highly recommend the audiobook, which made the interview aspect feel even more real. Plus Judy Greer as Karen Karen is amazing! ANOTHER BOOK I FIIIINALLY READ! Well, audiobooked. And well, let me just say, this is maybe not the best audiobook to listen to in public or while driving, because certain scenes had me sobbing in my car and sobbing in the car is not very safe. But yeah, definitely worth all the hype. This book should be mandatory reading in every single high school all over the world. Now I really want to see the movie (with tissues nearby and from the safety of my sofa). This song has such spring vibes and always puts me in a good mood, I love it! I love both the original Korean version and the English song. I’m sad that the English version has so little I.M., but on the other hand it has this video and this video just looks so good okay? I was never a huge Jonas Brothers fan, but this comeback is amazing! I love this song and the video and I can already predict this will be played on the radio so much I’ll be sick of it in no time but for now I’m happily singing along! This was one of the most hyped kdramas of 2018, so when I saw it was on Netflix I was all over it! Unfortunately, it took me about 3-4 episodes to get into it and I was even considering DNF’ing it… But to be fair, I started watching this when I was exhausted and I tried it on my new tv in my bedroom, from the comfort of my bed, so I fell asleep and missed a lot of those first 3-4 episodes. I don’t blame the show, because once I beat my exhaustion, I watched with full attention and fell IN LOVE! This show about a virtual reality game gone awry is awesome, suspenseful, dramatic, romantic, funny and OMG the settings and visual effects are gorgeous! They’re back! 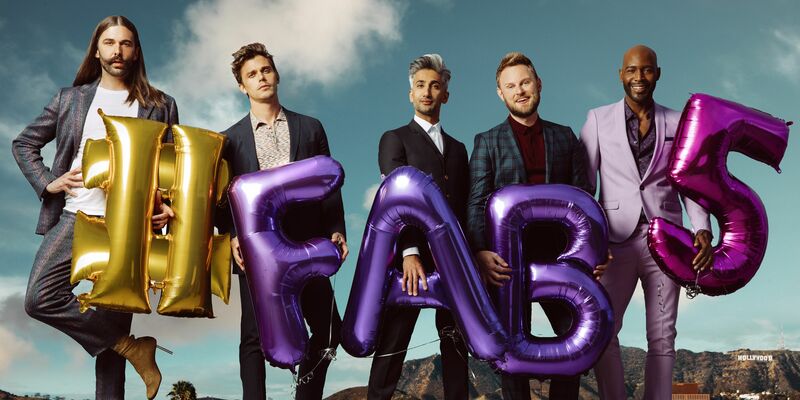 I missed these boys so much and naturally I binged this season as soon as it came out. It’s still my favorite reality show ever, this show is just so pure and wholesome and I’m crying almost every single episode but I love it. So when’s season 4? We have started to settle into our new home. This month flew by, it’s been super busy, but things are slowly starting to get back to normal and I love it. DEMON MAGIC AND A MARTINI BY ANNETTE MARIE! THE NEW SEASON OF CHILLING ADVENTURES OF SABRINA! Really, so much is happening in April, I can’t contain the excitement! HOW WAS YOUR March? WHAT DID YOU READ? WHAT DID YOU LISTEN TO AND WHAT DID YOU WATCH? WHAT ARE YOUR PLANS FOR April? Glad you’re settling in and yay for spring!! Thanks and yes so happy about spring! Congrats on the move! I’ve also been listening to a lot of audiobooks this year. They’re really convenient sometimes. I’m looking forward to Game of Thrones. It’s hard to believe it’s finally here. Happy April! I definitely recommend the audiobook version of Daisy Jones! Hope you’ll enjoy! Hahaha I was JUST thinking wow there are so any tv shows coming back in April. I love GOT, Sabrina and The 100 so much! 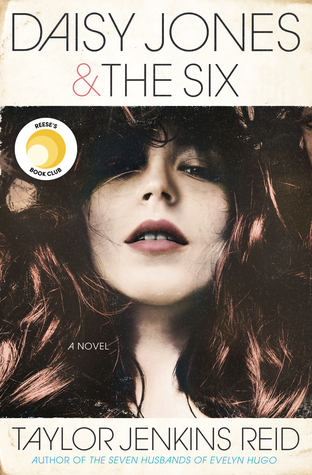 I’m really interested in Daisy Jones And The Six! It seems to be everywhere at the moment. Audio books totally saved the day for you! I’ve never actually listened to one, but I know they’re lifesavers for when you’re so busy. My cousin is always listening to one when she’s driving or at the gym or shopping mall. All the best for April, Lindsey! Spring weather yes! Tomorrow should be another good day! I’m glad audiobooks are helping you read in the busy times! I’m glad you’re settling into your new place. 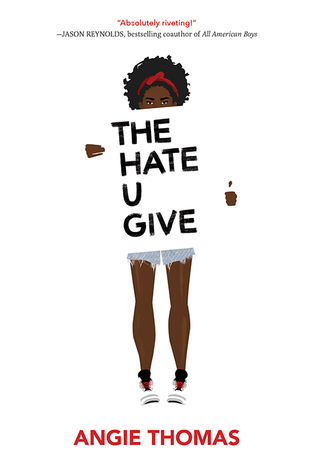 I still need to read Daisy Jones, Radio Silence, and The Hate U Give as well. I need to watch the video for Sucker, but I love the song. Lindsey!!! I’m so glad that you’re doing well with audiobooks and it’s great that they’ve kept you reading. 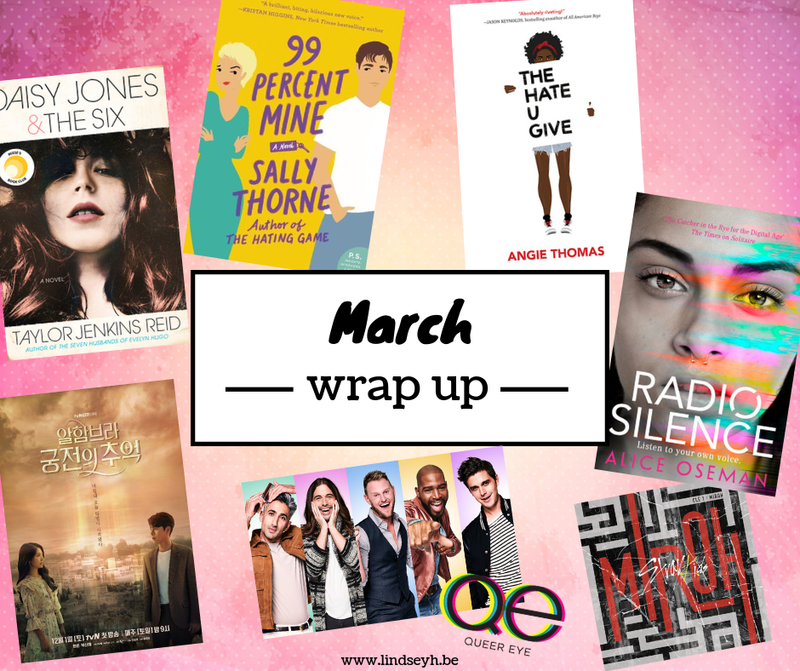 So many awesome things to look forward to this month and Annette Marie being at the top of the list – I love it! I’m trying to rewatch all of GOT before the new season starts… I’m not doing so well since it’s on Sunday and I’m still in season one! Yeesh.